Hi everyone! 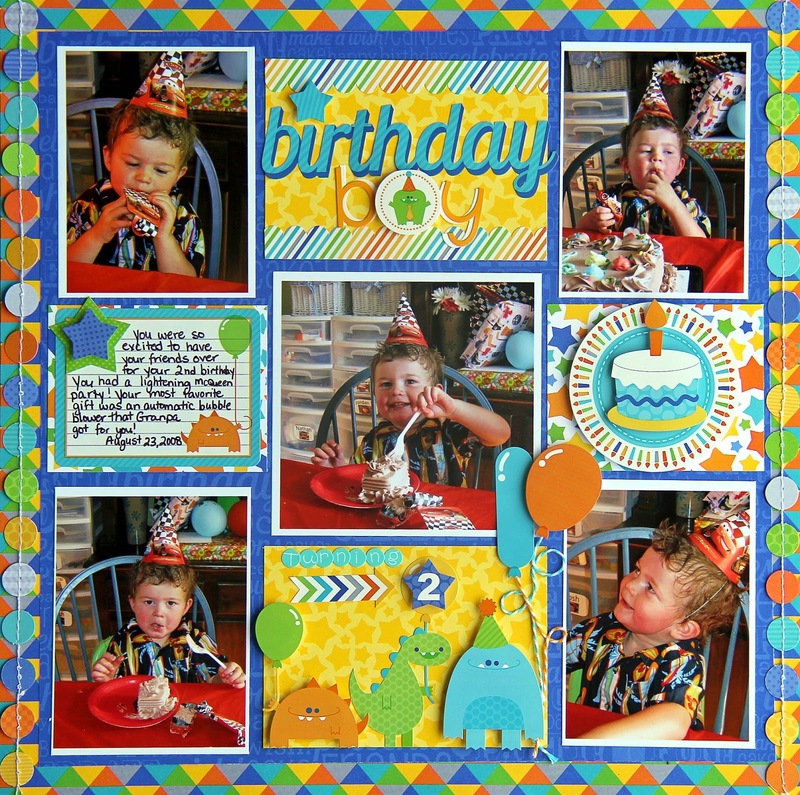 Jodi here today to share with you a layout I created using the new Hip Hip Hooray Collection! As soon as I saw the cute little monsters & robots, I knew I was going to have to dig up my son's 2 year old birthday party pictures! Once I saw the colors, I knew it would be perfect to showcase his party! I had quite a few photos to work with, but I didn't want to give up any on the layout, so I decided to use all five in a grid like fashion. I then added blocks of patterned paper, and built on each block with a journaling space, embellishments, and the title. 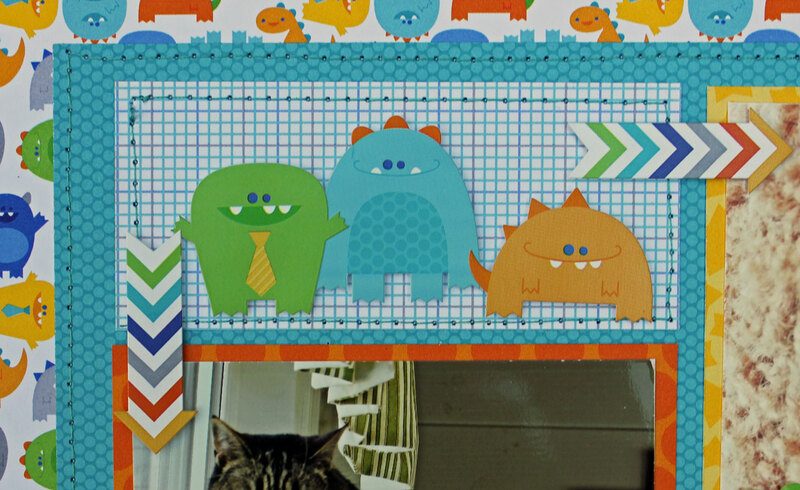 My favorite part of the layout was working with the cute little monsters! They are just so adorable!I added the two already holding the balloons, and then added a third monster carrying two balloons, by using some doodlebug twine. 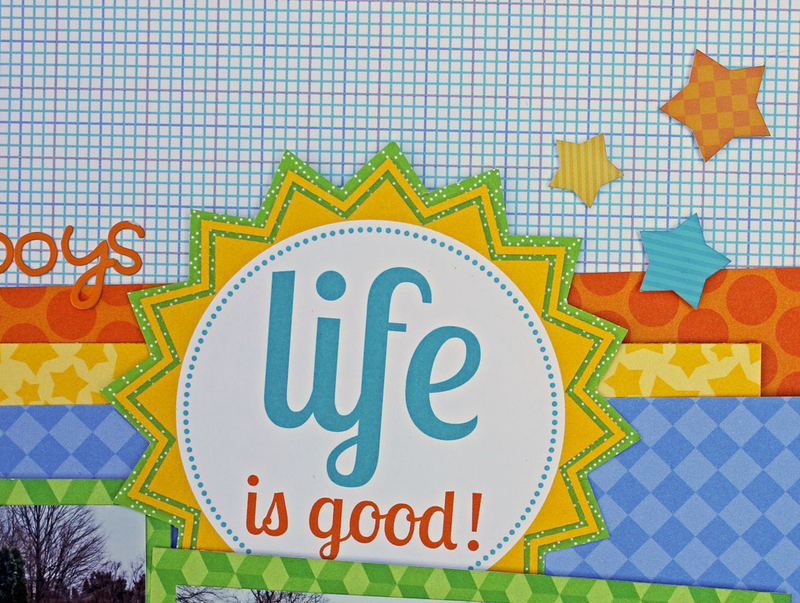 I simply LOVE the journaling stickers on the this & that sticker sheet! The spacing between the lines is perfect, and allows enough room to tell a story! I layered some more sticker on top too for some extra fun! 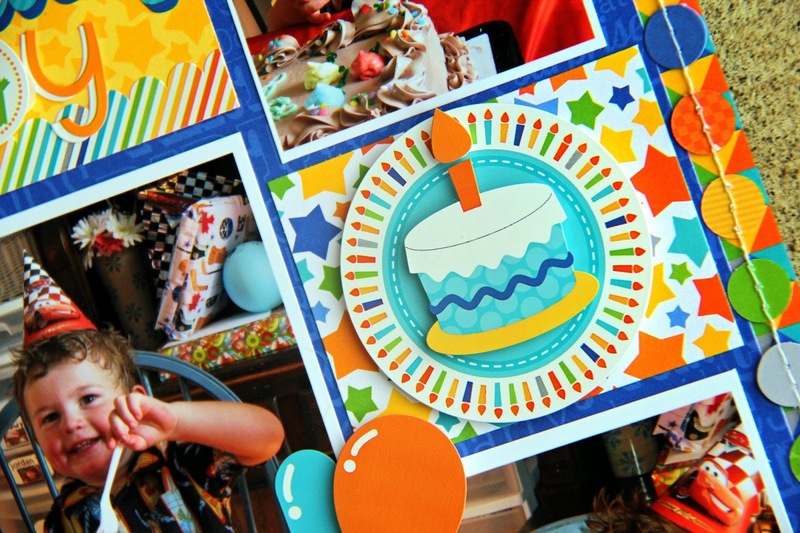 So I hope you enjoyed my walk-through of my creative process when creating this birthday layout! 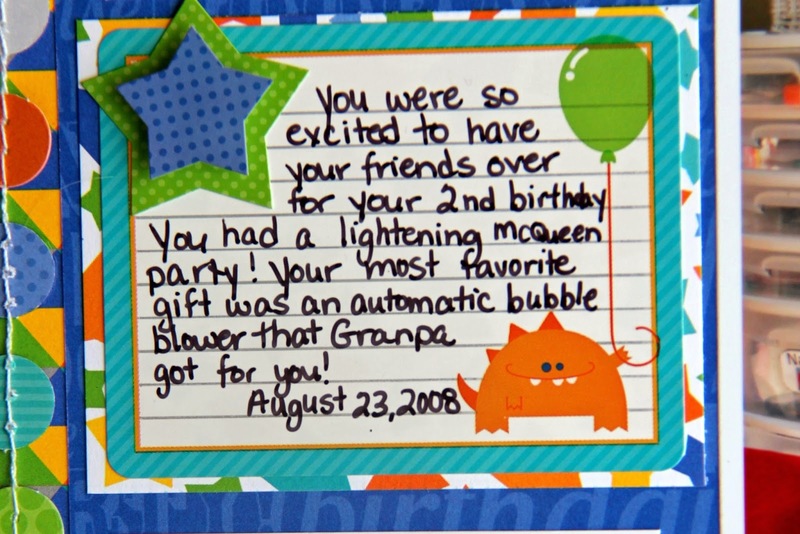 You will simple LOVE this line for all your birthday projects! 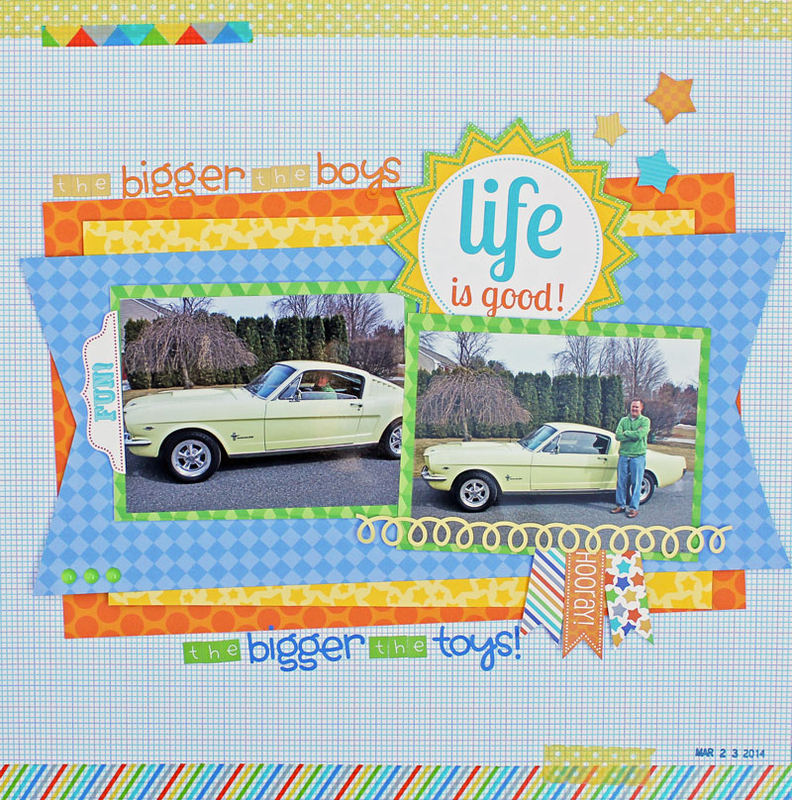 Hi Everyone...Kathy here today to showcase a couple of fun layouts I created using the Hip Hip Hooray Collection. I absolutely love this collection. The colors are so cheery and those little monsters just captured my heart! My problem ... I don't have any little guys in my life! Besides my sweet husband...we are a household full of girls! Lucky for me, Hip Hip Hooray is a very versatile collection. I was easily able to come up with two layouts featuring a "different" side of this line. My first layout showcases my husband and his "toy." He always wanted a vintage Mustang, so last year he bought this beauty! 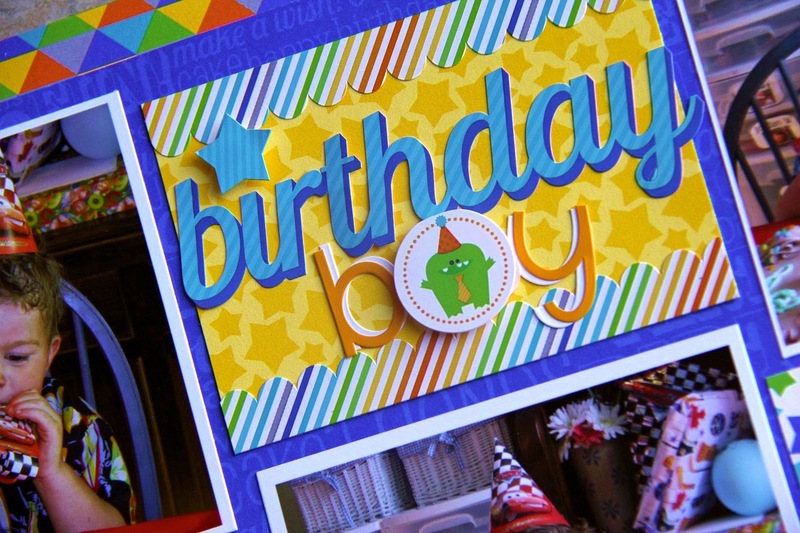 The coordinating washi, the papers and even many of the stickers can be used for more than birthday themed layouts. I created my title using a mix of different Doodlebug Alphas from the Teensy Type sheets. 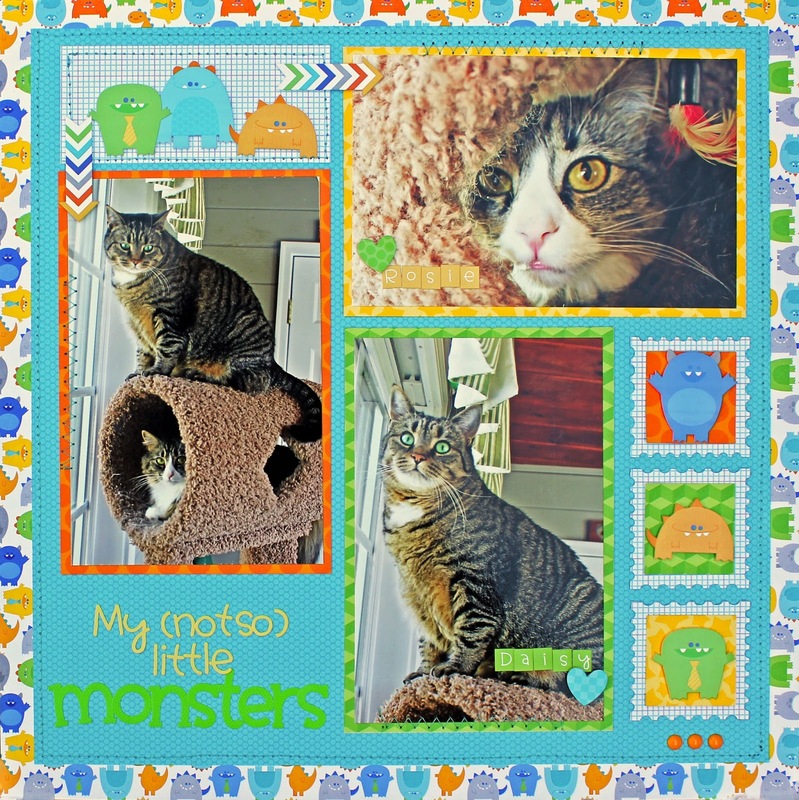 My second layout features my two "not so little" monsters...Daisy and Rosie. 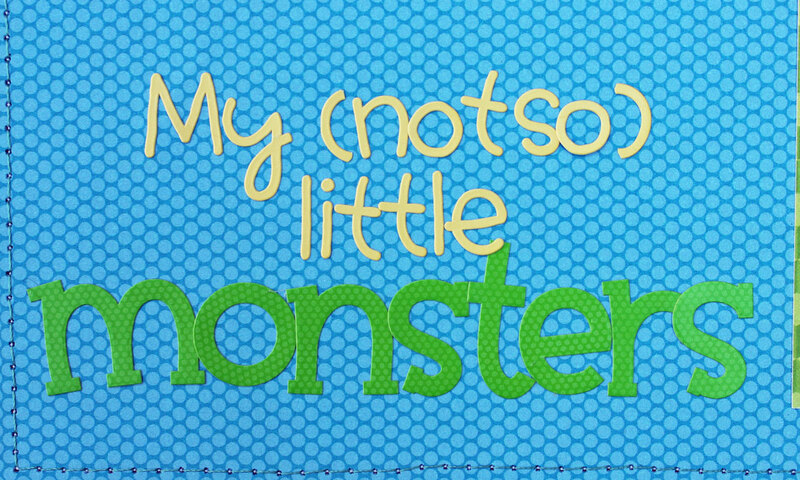 As I said...those little monsters from the Monsters- Icon Mini stickers are just too cute! (Kind of like my kitties!) I decided to showcase them as little "stamps." Again...one of my favorite techniques, mixing and matching alphas for titles! That's it for me today, thanks for stopping by! Pinned each layout to my Scrapbooking board! I love how colorful these layouts are! ACK! Love that little boy layout! I shared this great post on Face Book! great layouts with beautiful colors! So cute I had to pin! Oh, I really like the "bigger toys" layout. So creative and fun with this new Hip Hip Hooray Collection. 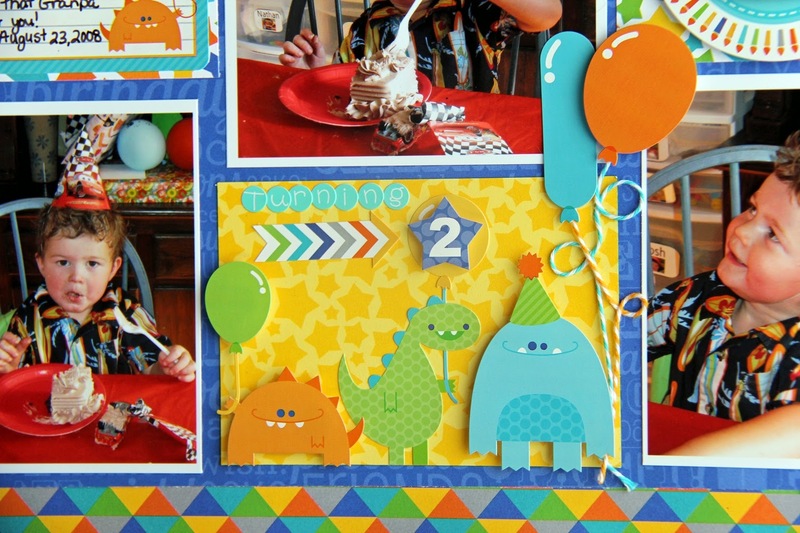 I pinned the birthday layout! Jodi, I do love the star as the dot above the i- very cute little touch! And Kathy, wow what a great example of how this collection can be used for anything. I love your cat layout, I'm not sure if it's just because it is a great page or because I am a huge cat lover :) I shared on FB, follow you on instagram, and pinned to http://www.pinterest.com/JBMemoryKeeper/doodlebug-designs-i-love/ thanks for the chance to win and all the great inspiration! Super cute layouts! I love the layering. I follow on Pinterest, Facebook and Instagram. Love these little monsters and the layouts are awesome! The layouts look great, I love all of the details including the stitching! Lots of fun embellishments too, pinned for future inspiration! IT IS AWESOME how flexible this collection is AND how other collections work PERFECTLY with it too!!! OOPS - I forgot to say THANK YOU for the inspiration ladies!!! Favorite layout I have seen with this collection. Worked for the big guys too!